MOSCOW (Sputnik) - The United States will continue its attempts to impede the implementation of the Nord Stream 2 natural gas pipeline project by inciting Eastern European and Baltic states to oppose the project, Reiner Hartmann, the head of Uniper Global Commodities SE Representative Office in Russia, told Sputnik. "I am afraid that the United States will continue mobilizing countries like the Baltic states and Poland, Ukraine and Georgia, which is new for me, to instrumentalize them to block the Nord Stream 2 project," Hartmann said on the sidelines of the 15th Flagship Conference of the Association of European Businesses (AEB) in Russia. On June 27, the chairpeople of the parliaments of Georgia, Lithuania, Moldova, and Ukraine are expected to meet with Speaker of the US House of Representatives Paul Ryan to discuss counteracting the construction of the Nord Stream 2 pipeline. 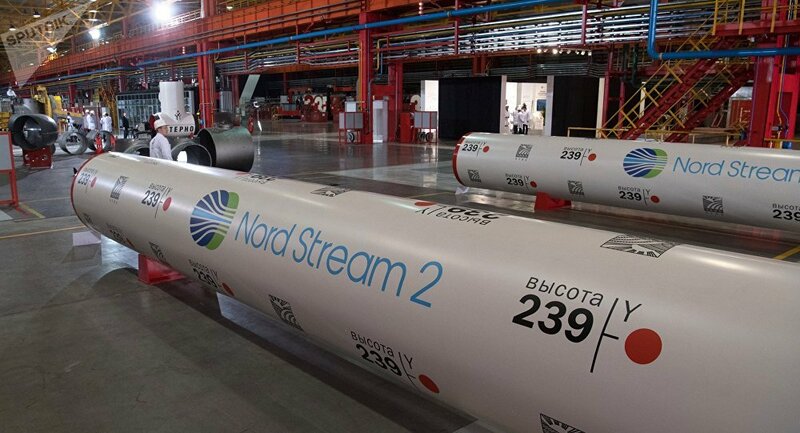 The Nord Stream 2 project envisages the construction of two gas pipelines that will run from the Russian coast, through the Baltic Sea and to a hub in Germany. Nord Stream 2 AG, the project company, is owned by Russian energy giant Gazprom, while Uniper, alongside French Engie, Austrian OMV AG, UK-Dutch Royal Dutch Shell, and German Wintershall, have agreed to provide long-term financing for 50 percent of the total cost of the project. Several Eastern European states have stated their opposition to the pipeline, fearing that Europe will increase its dependence on Russian gas and lose transit revenues. Meanwhile, the United States is seeking to promote its own gas companies on the European market. According to 2017 Countering America’s Adversaries Through Sanctions Act, Washington may impose sanctions on competitors — among them, Nord Stream 2 — in order to prioritize US energy resources.